So after the massive success of Marvel’s “Black Panther,” and because of its great leap forward when it came to representing black performers onscreen, not a few people hoped to see something of that level happening for us in the Philippines. 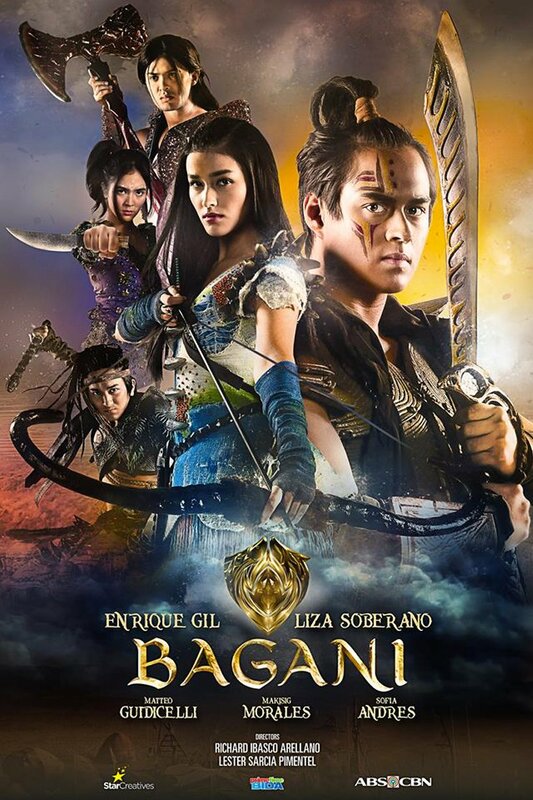 Clearly, “Bagani,” an ABS-CBN fantaserye inspired by Philippine pre-colonial lore earned the ire of a lot of people because it insisted on casting a lot of half-Filipinos in their lead roles, taking away opportunities from moreno and morena people to star in something this high profile. Liza Soberano, in her own defense, tweeted that she’s as Filipino as they come, seeing as she loves sinigang. This clearly didn’t sit well with a lot of people, and now, LizQuen’s fanclub is on high alert against all the backlash their queen is facing. But see, as inelegant as the comparisons between a blockbuster Hollywood film and yet another ABS-CBN teleserye may be, this dialog needed to happen, and we call it a dialog precisely because neither side is absolutely correct, much less absolutely wrong when it comes to this issue of race. And while we here at the 8List won’t purport to know all the answers (we write listicles here: we’re not philosophers), we at least appreciate the multiple valid points that came up throughout this discussion. Pre-colonial Philippines is recognized to have been made up of three settlers: the Aeta, the Malays, and the Indones. It would seem that ABS-CBN decided to functionally whitewash all of this by starring a half-American (Liza Soberano), a German-Spanish-Filipino (Enrique Gil), and even a half-Italian (Mateo Gudicelli). Conspicuously, to make these actors a bit more tan, they wore bronzers, which does make one wonder: why not just hire naturally darker-skinned actors instead of these guys? 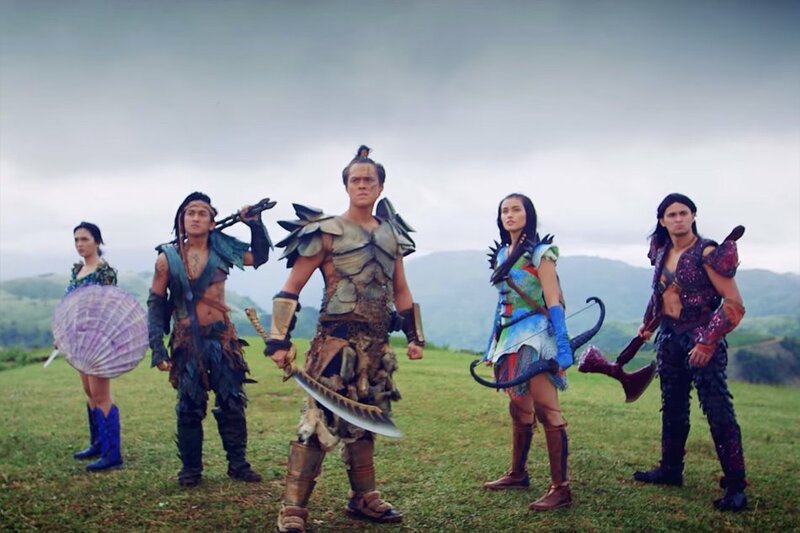 As some people on Facebook astutely pointed out, Bagani is not a vehicle to showcase new talent, but a vehicle to showcase already-popular talent. Arguably, we haven’t had a true-blue morena plain jane become wildly popular since Nora Aunor, and she started out 51 years ago. What this means is that it’s very hard to throw out a show without dependable, bankable stars, and a vast majority of these stars are fair-skinned. It also happens that Liza Soberano is quite bankable these days. This isn’t just an ABS-CBN thing, by the way: it’s an industry-wide predicament. 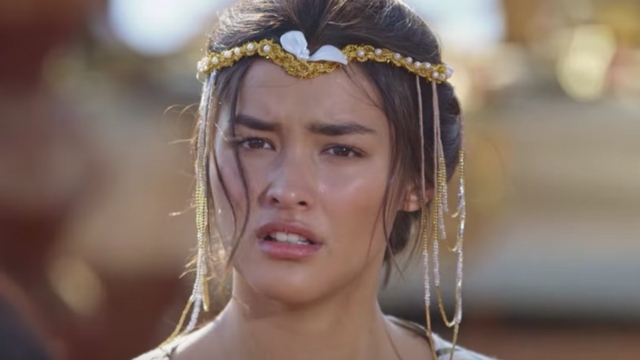 The truth is, as egregious as it is to see Liza Soberano being cast for the lead in Bagani, it is certainly not her fault, nor should she go out of her way to reject an opportunity like that just landing on her lap. It’s just like that time Richard Gutierrez was cast as a frigging janitor: nobody would buy Richard Gutierrez playing a janitor in a million years, but it’s not his fault if he got cast as one. Attacking her for the opportunities handed to her is missing the point, because she’s not the one who made the decision to put her in the lead, and she would be a fool to turn it down when handed to her. 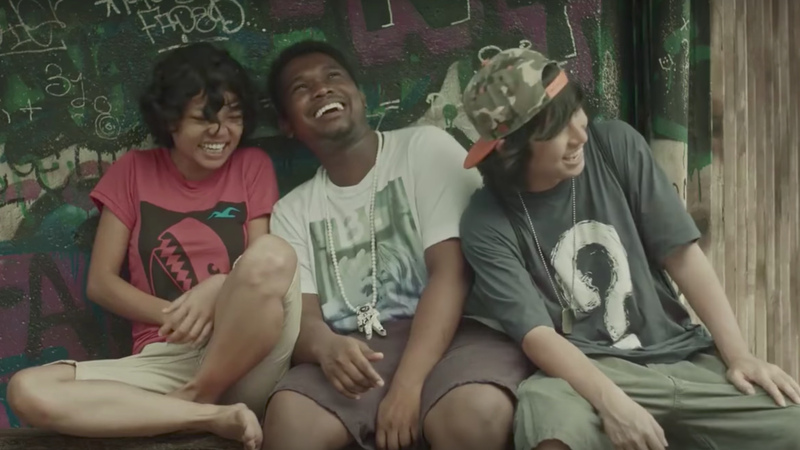 Exactly what does it mean to be a pure Filipino, in the first place? The fact is, prior to us being colonized, there was no such thing as “the Philippines,” to begin with. Being of mixed race is far from a new thing, given our country’s history, so demanding only “pure” Filipinos be cast in this show would be ridiculous. There’s nothing wrong with having some mixed races, because that’s the way it’s always been, to begin with. If we can’t determine what a “pure” Filipino is because one of our best features is how much of a melting pot we are, then shouldn’t we instead diversify the kinds of Filipinos we could see in Bagani? Why does it all have to be so Eurocentric? This is the perfect opportunity to build a diverse range of stars, considering just how diverse the Filipino people happens to be in the first place. That decision does not lie with LizQuen, but with the casting directors of these networks – they should be taken to task for these choices. As recently as 2011, 8List favorite Barbie Forteza starred in a leading role with blackface for the infamous “Nita Negrita.” While we may not have the same history of enslaving our aeta brothers the way Americans did with Africans, we definitely have a harsh outlook towards dark-skinned people, and we’ve reportedly had it even during our precolonial times. Wouldn’t you say it’s high time we changed that? 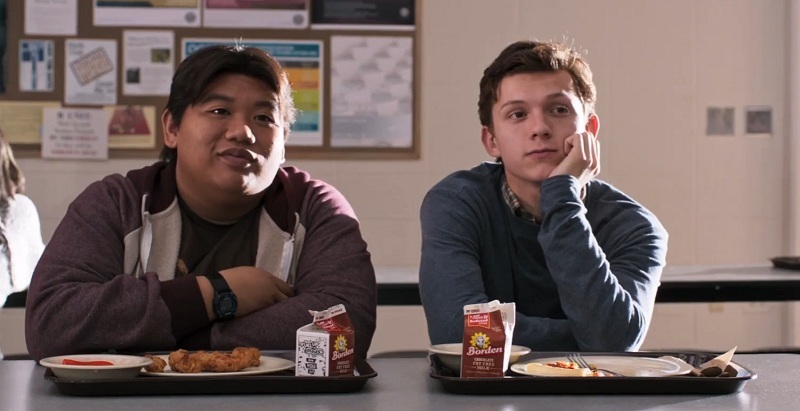 Considering how we leap on every single scrap of Filipino references we get in an international setting (such as the Filipino-inspired costumes in Black Panther, of all things), wouldn’t it be great if we could give that kind of representation to all kinds of Filipinos watching, not just the chinitos and chinitas and mestizos and mestizas, wouldn’t we be all the better for it? Let’s face it: it’s far easier to relate to someone’s woes on TV if they look practically like us. And sorry, Gluta industry, if that means slightly fewer people will want to lighten their skin, then so be it. That is NOT how you hold a bow and arrow. Maybe ask Alyas Robinhood for tips or something? What are your thoughts on the issue? Tell us below! I’d like to point out that the wave migration theory, exemplified by your statement on how the islands were first settled by the following: “Aetas, Indones and the Malays has already been rejected in favor of another theory called the Austronesian Migration. The WMT is riddled with inconsistencies as well as displaying a racist viewpoint that the fairer Malays were better overall with their technologiocal ingenuinity than the “primitive” Aetas. What is this writer talking about? Pure filipinos exist the mangubats, the but buts the visayan pintados and plenty more. And no james reid is not filipino cateiona grey is not filipino they are australians with white australian fathers. To the author please check your colonial mentality so sick of this no pure filipino bullcrap.